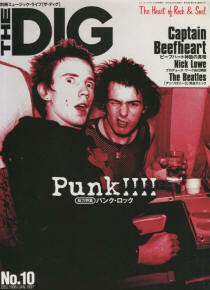 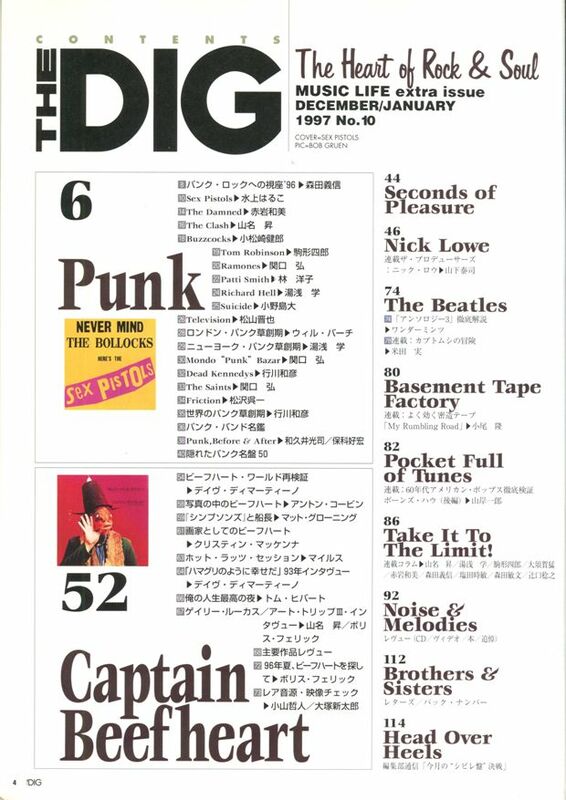 The Dig was the Crossbeat's special issue. 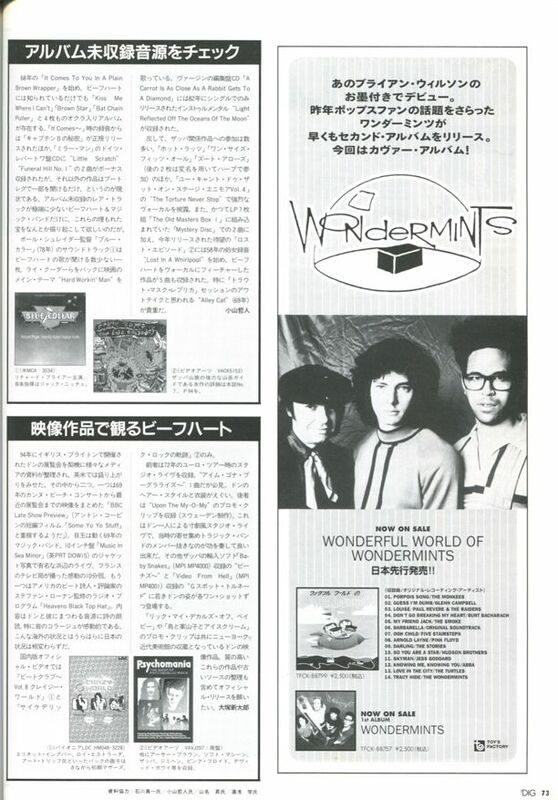 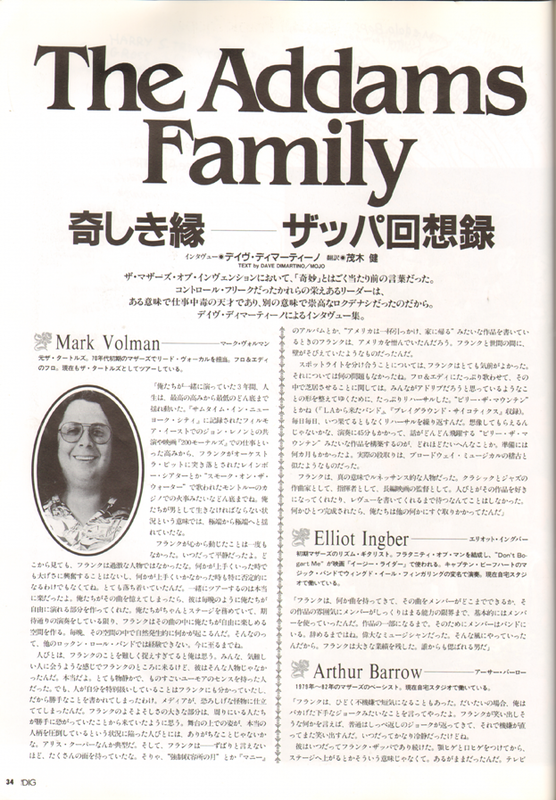 Launched as a quarterly in 1995. 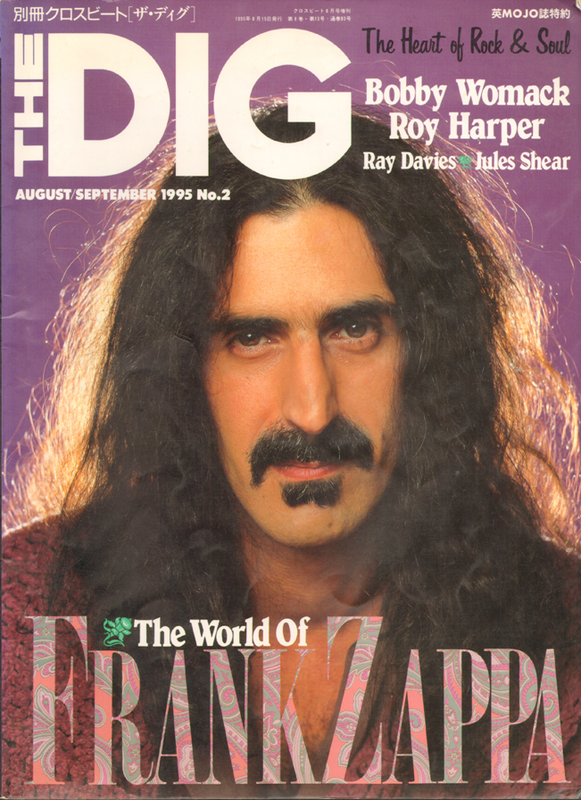 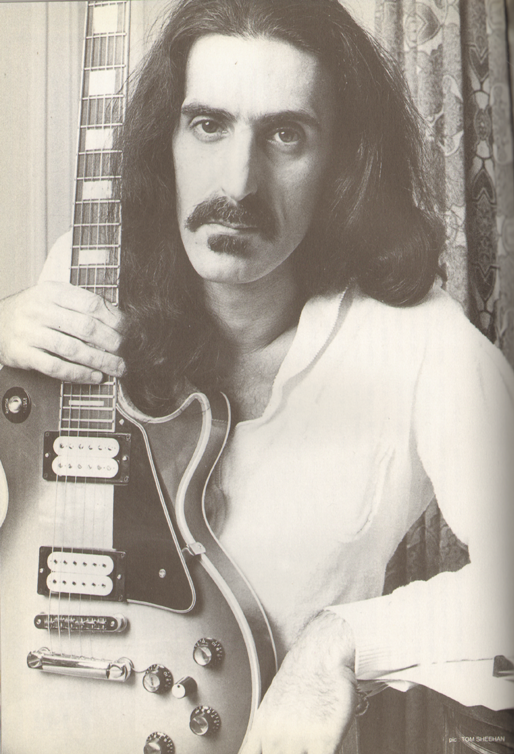 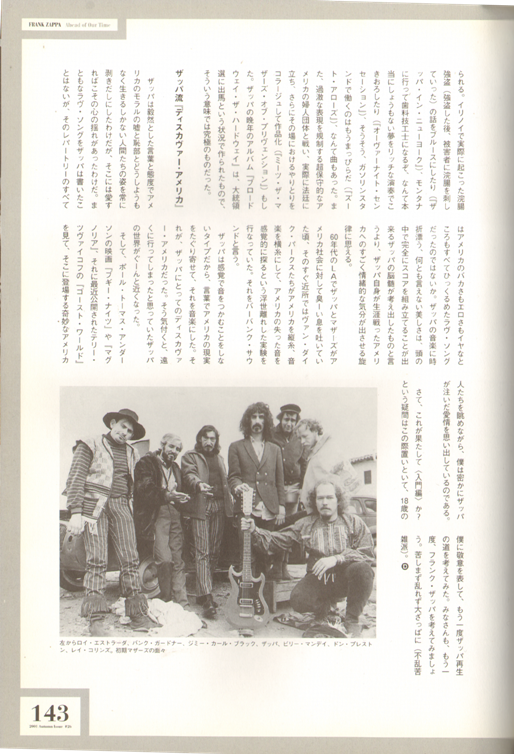 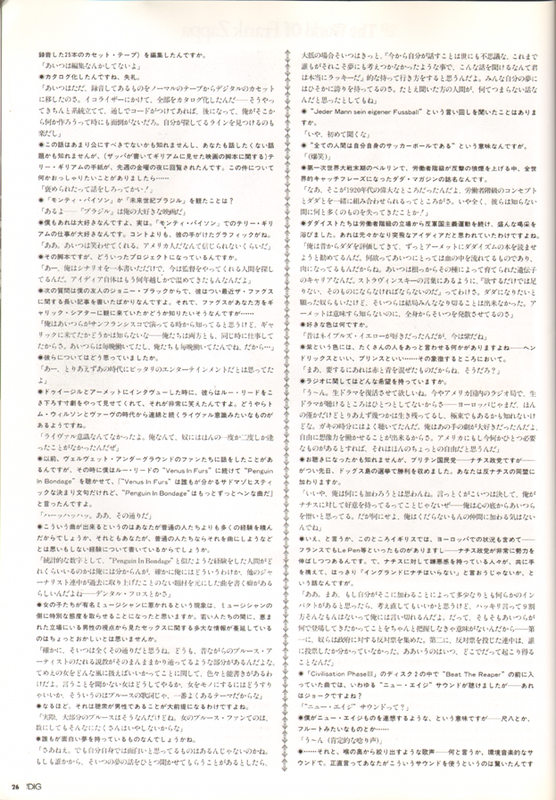 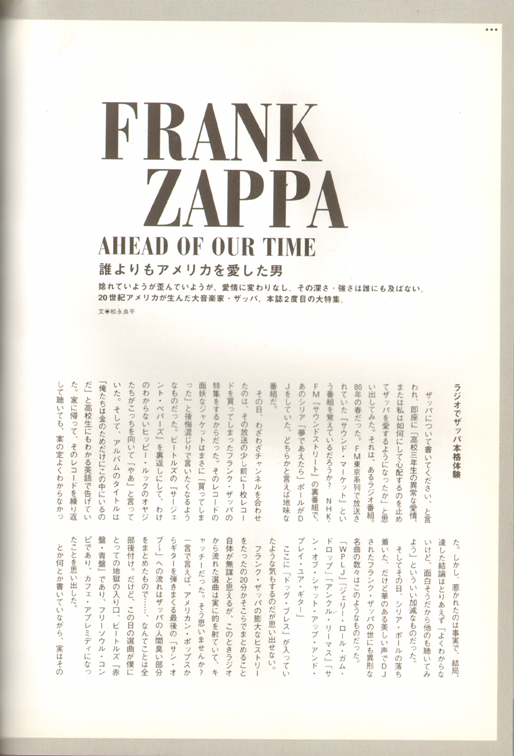 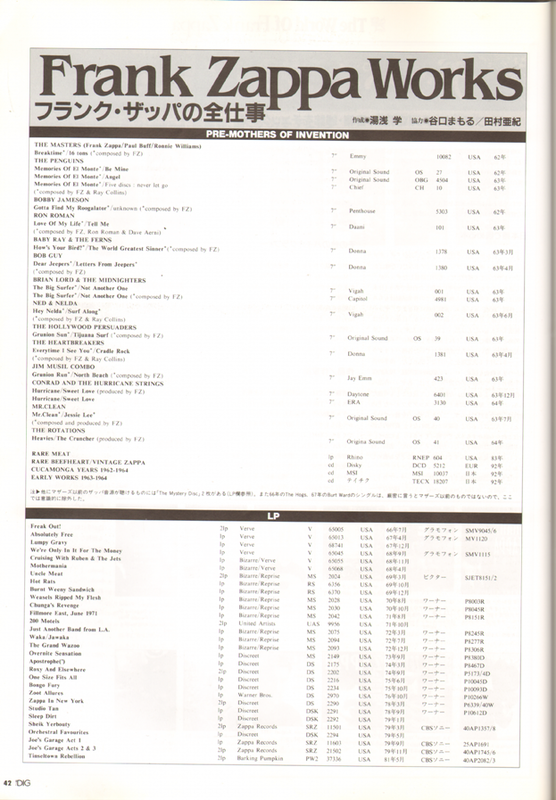 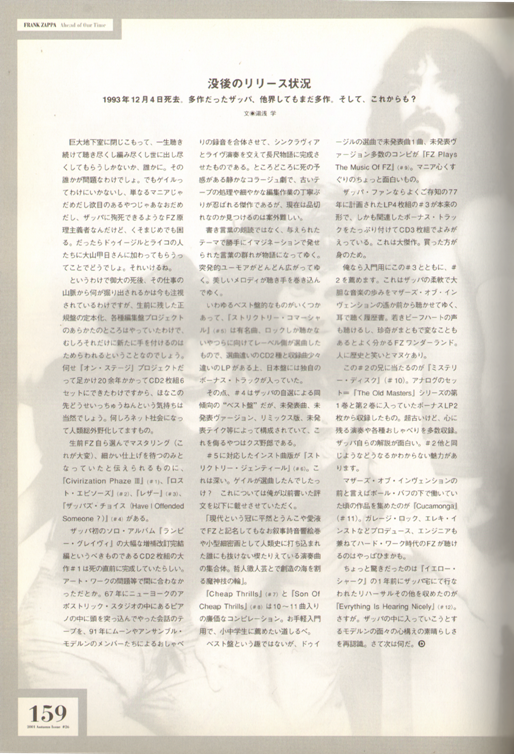 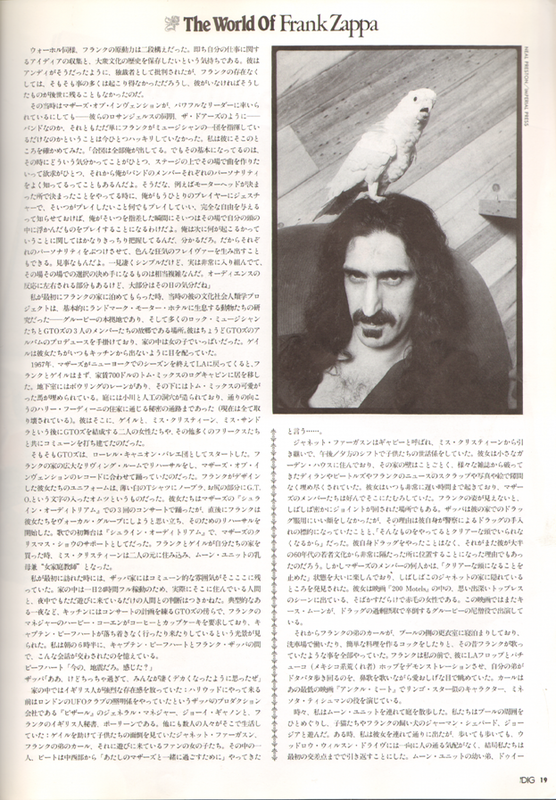 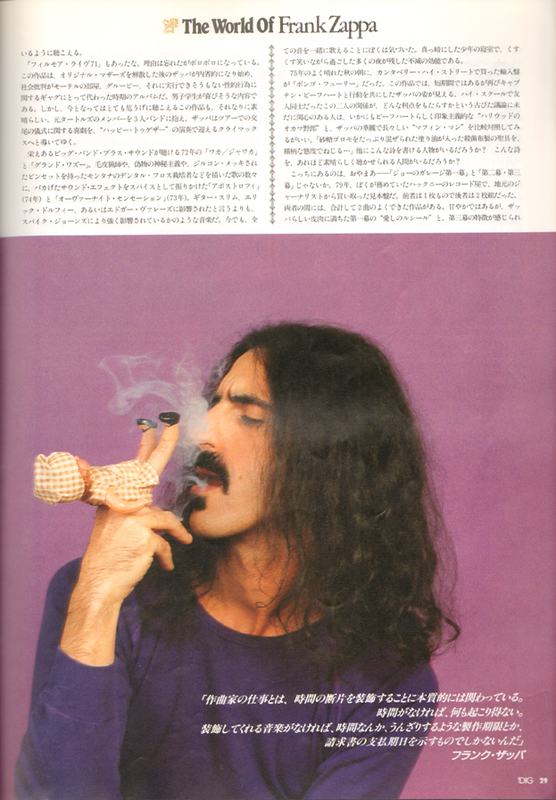 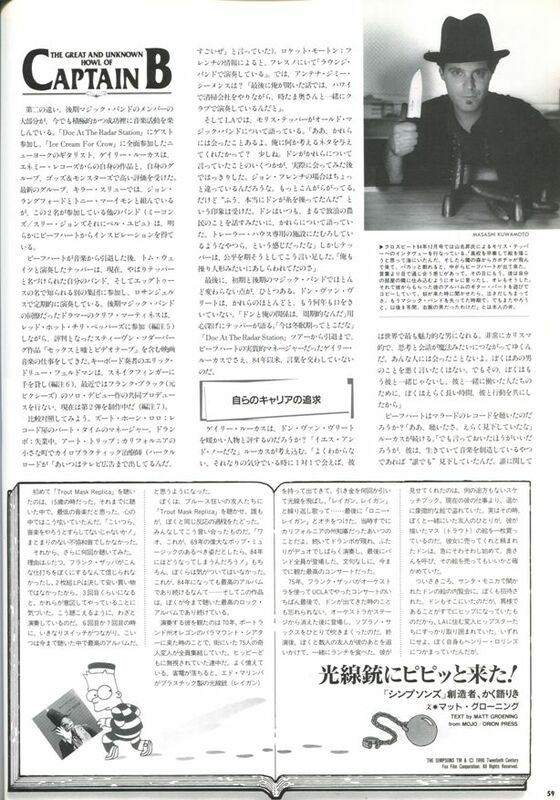 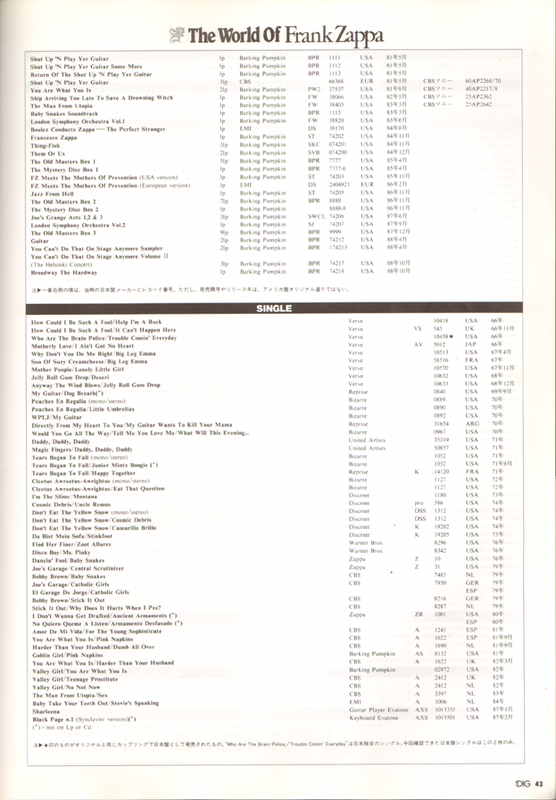 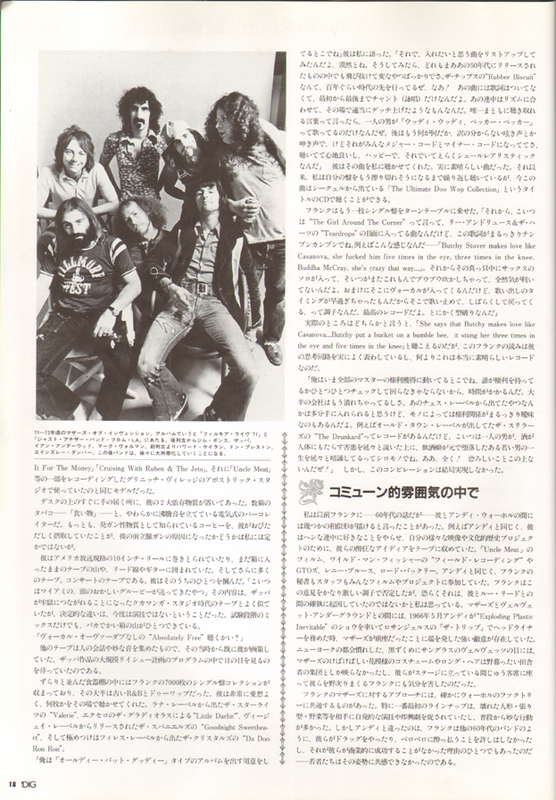 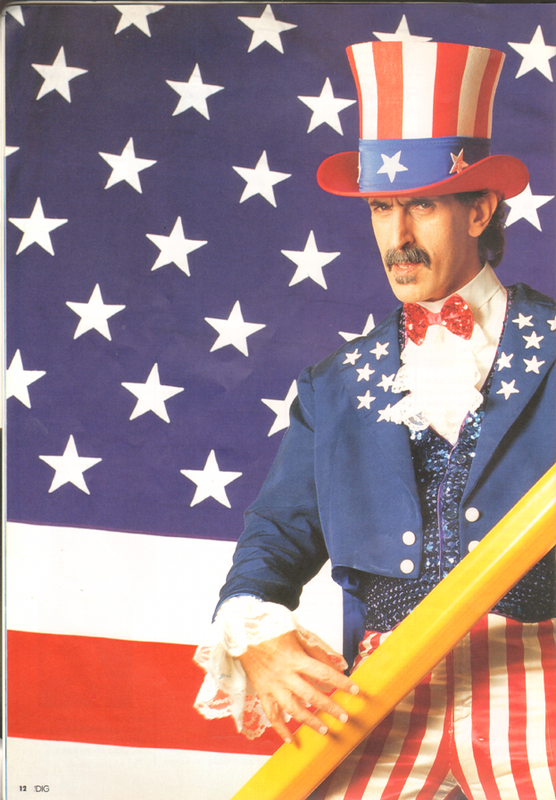 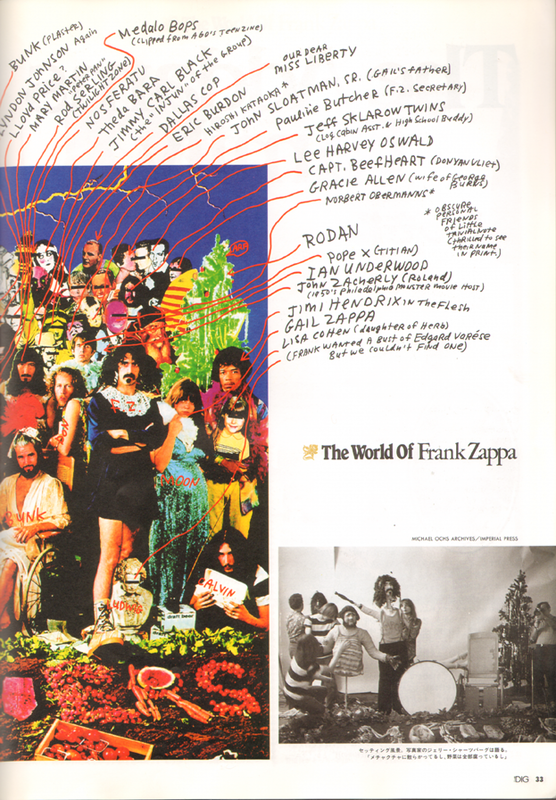 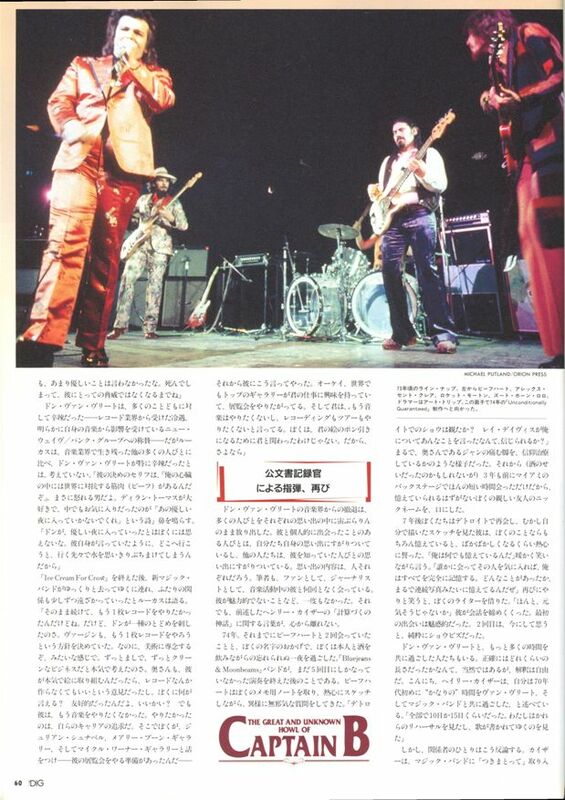 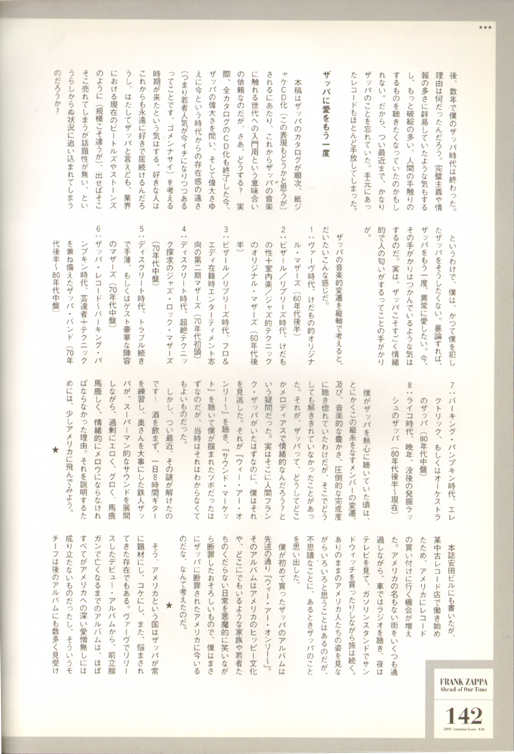 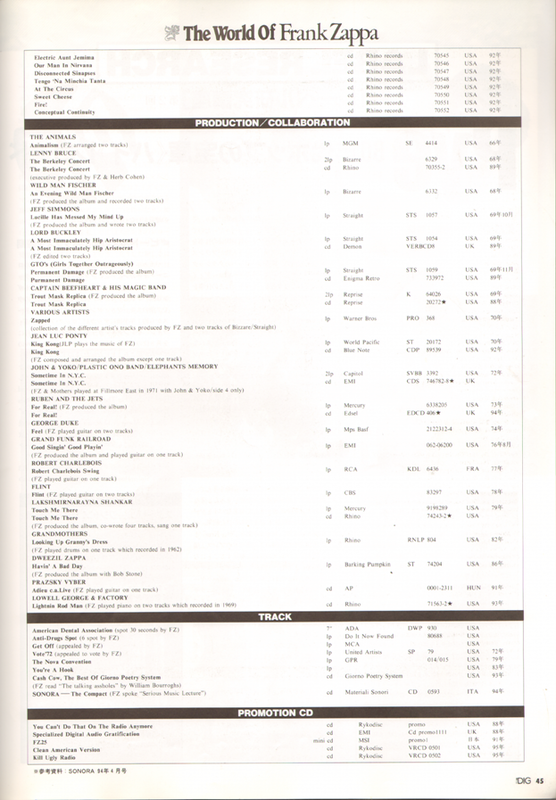 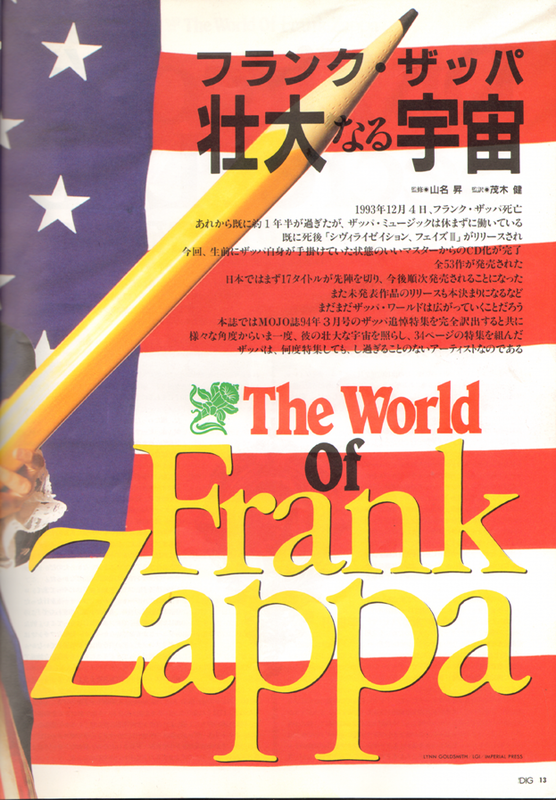 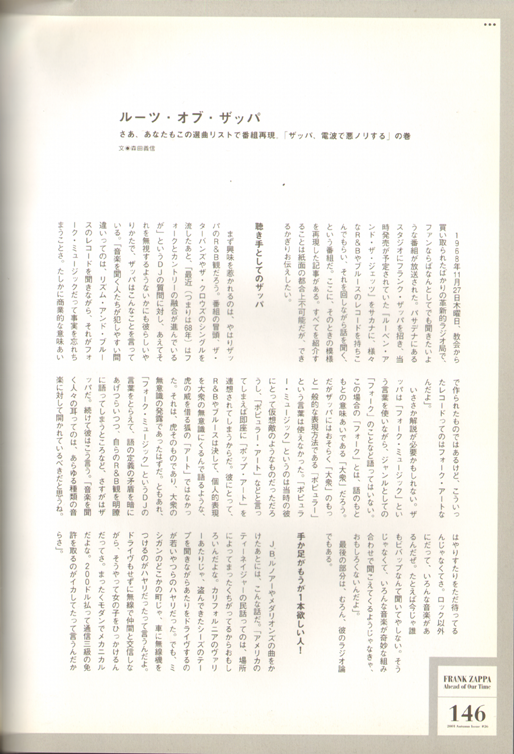 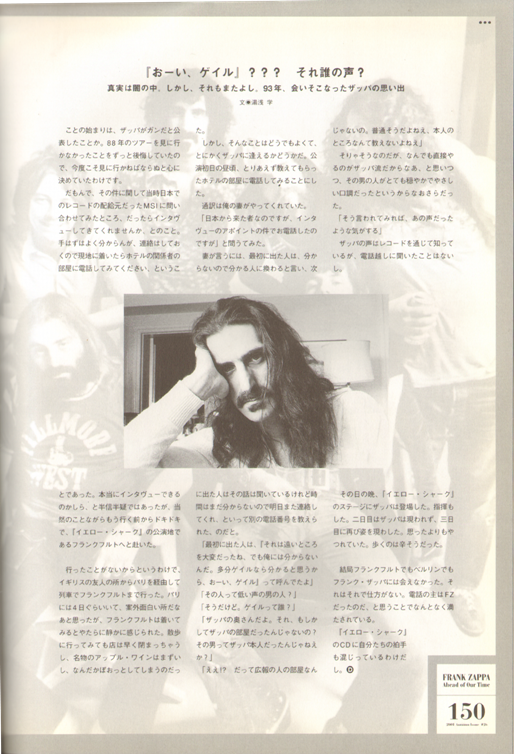 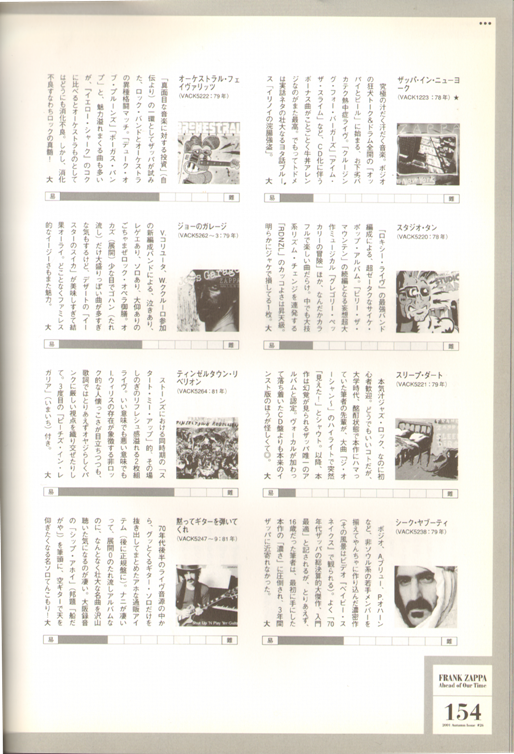 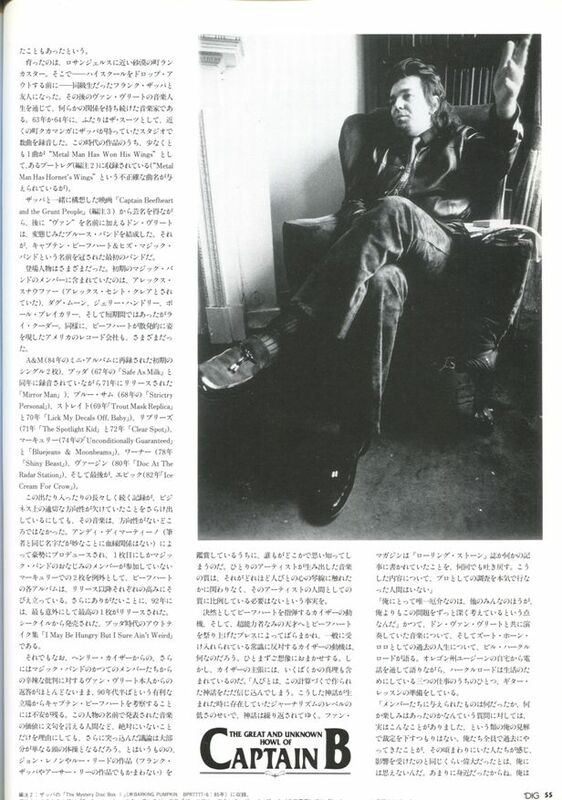 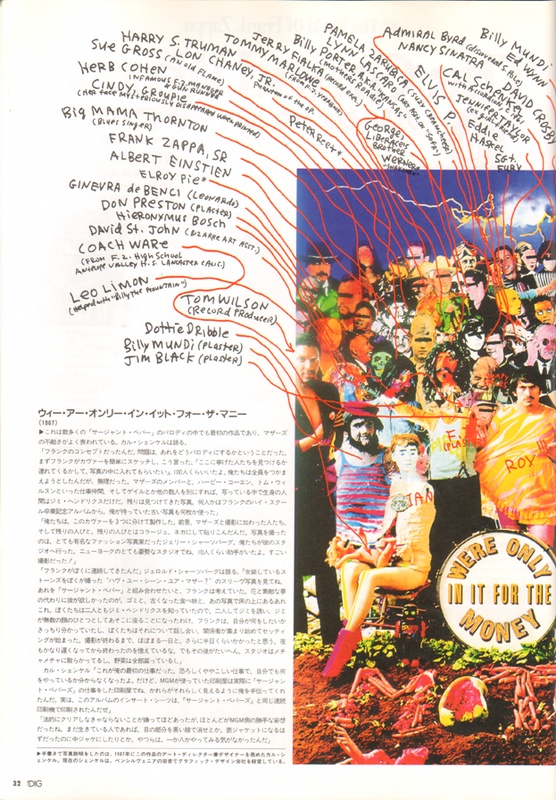 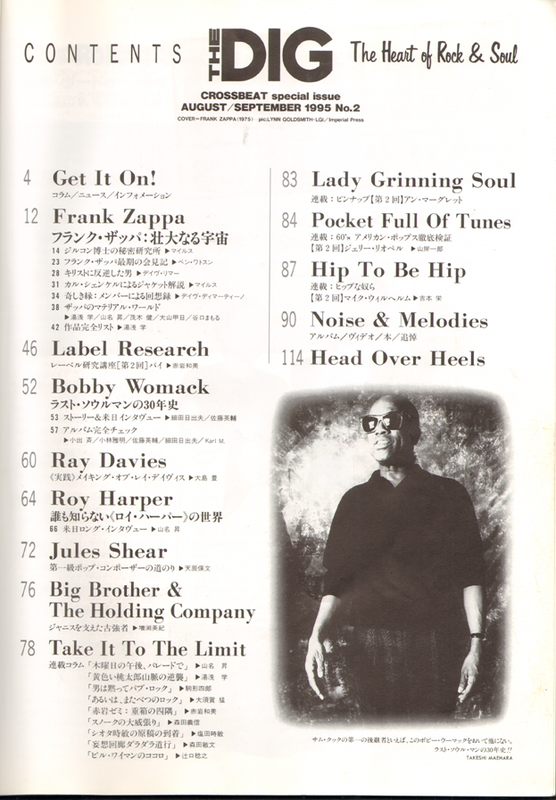 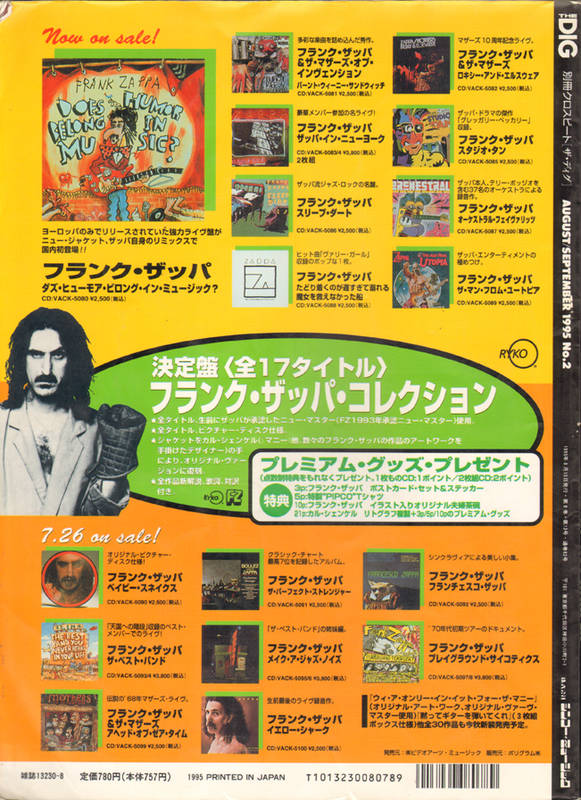 Most parts of this Zappa Special are translated from Mojo #4, March 1994. 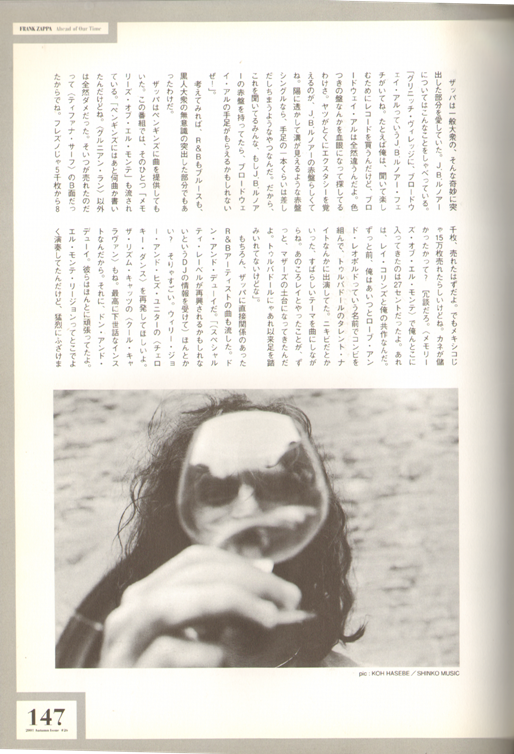 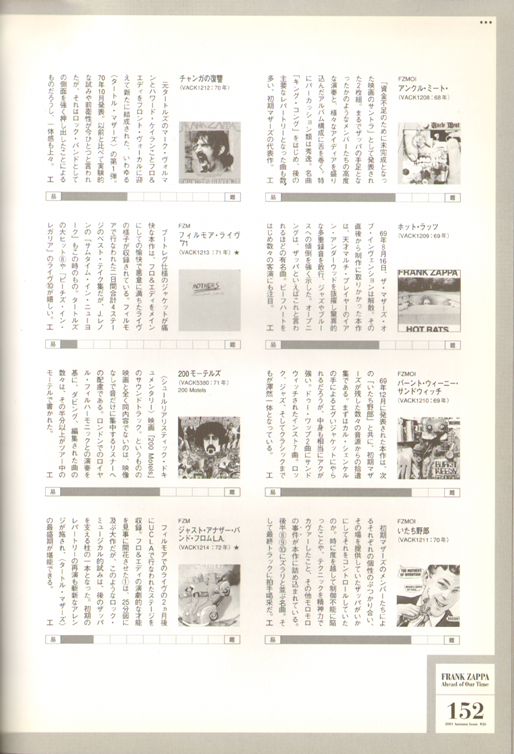 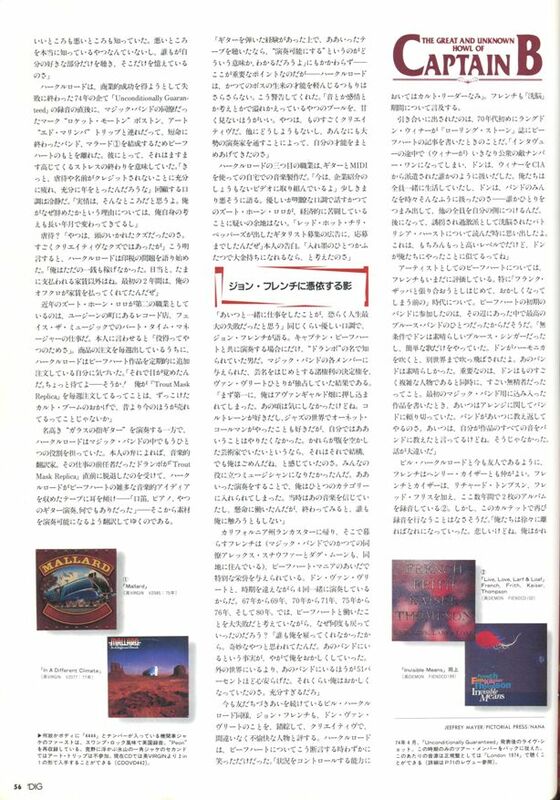 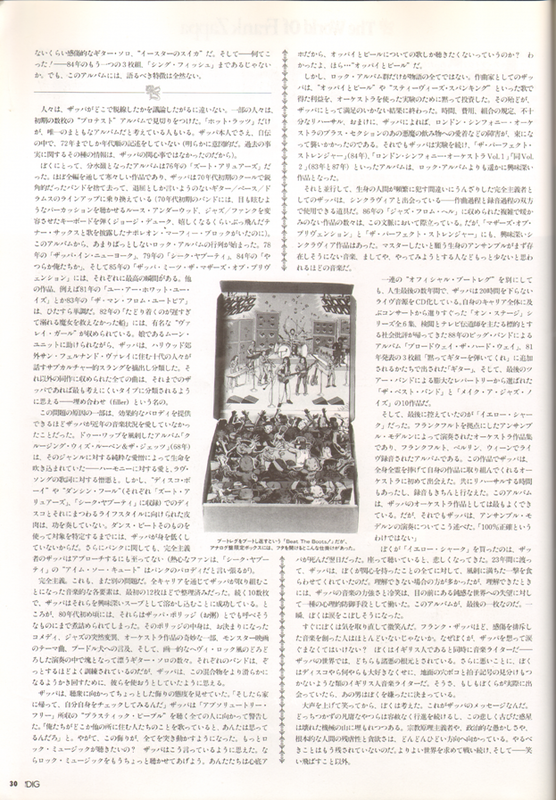 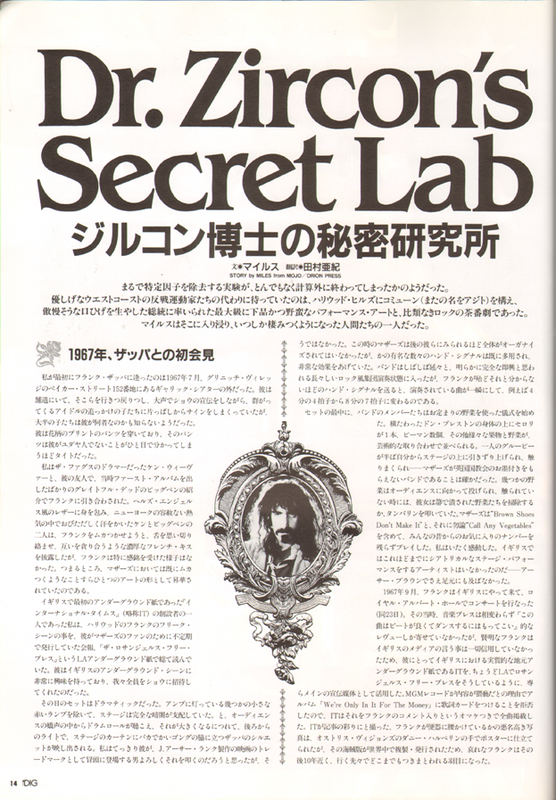 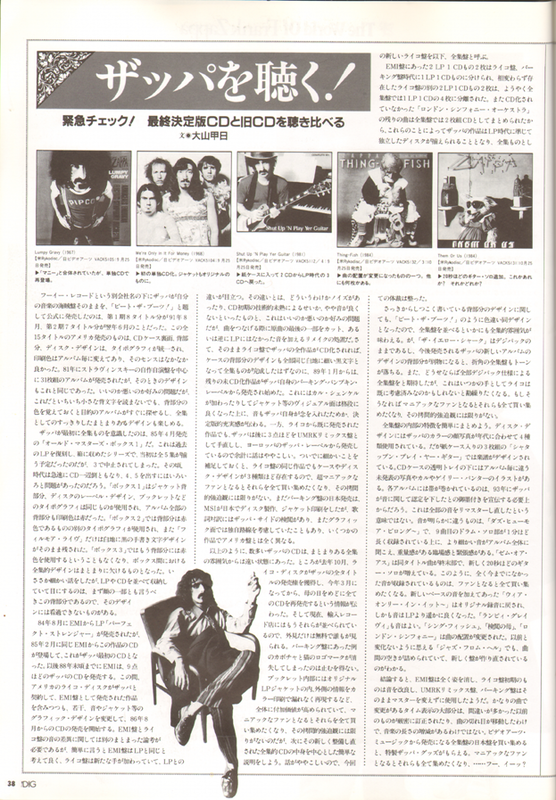 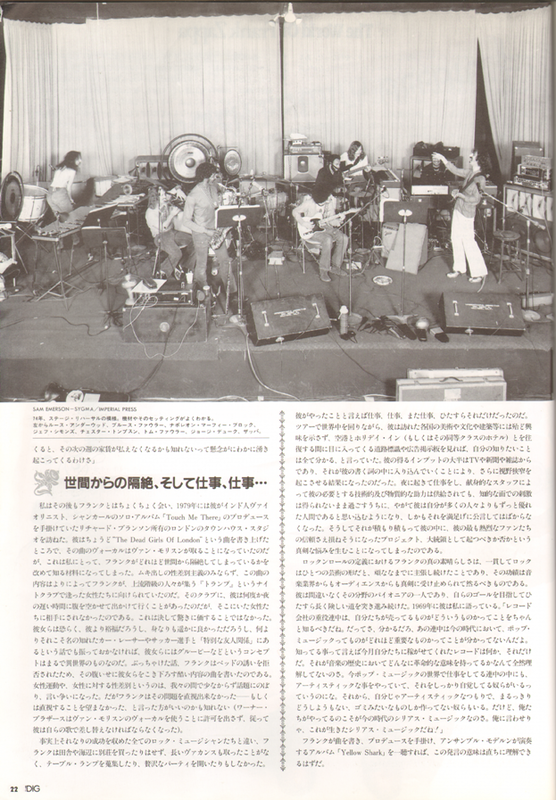 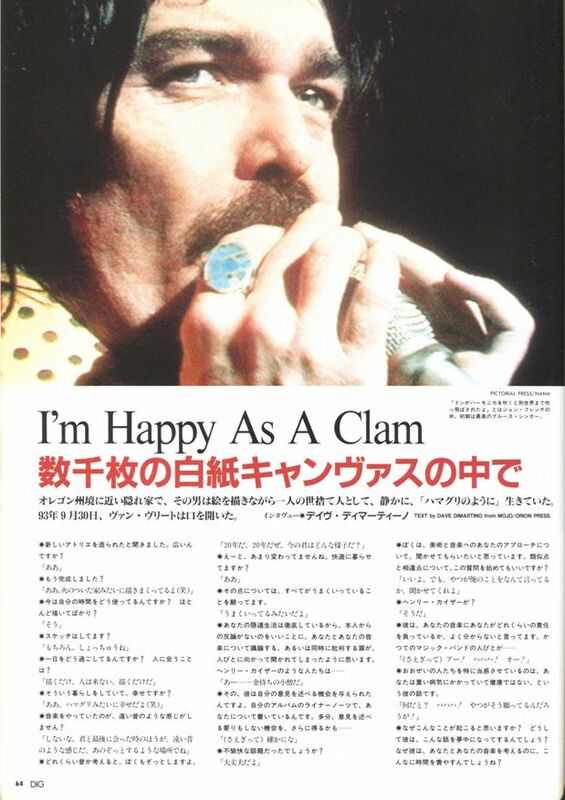 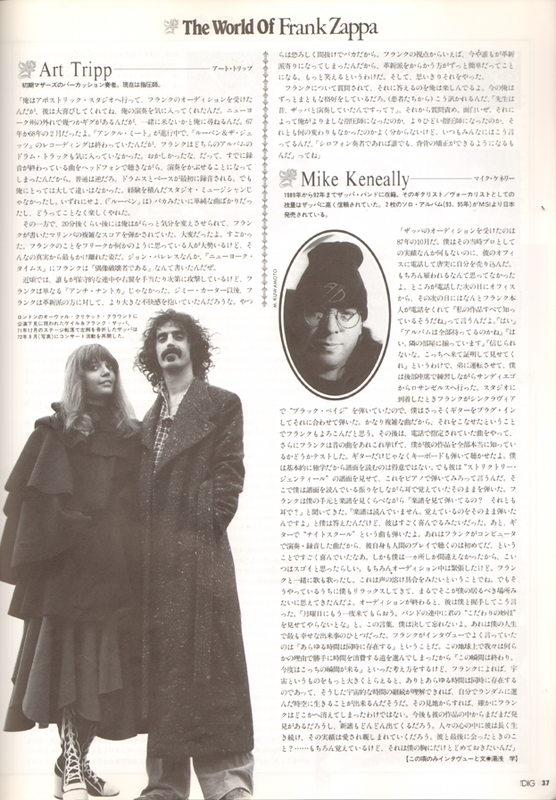 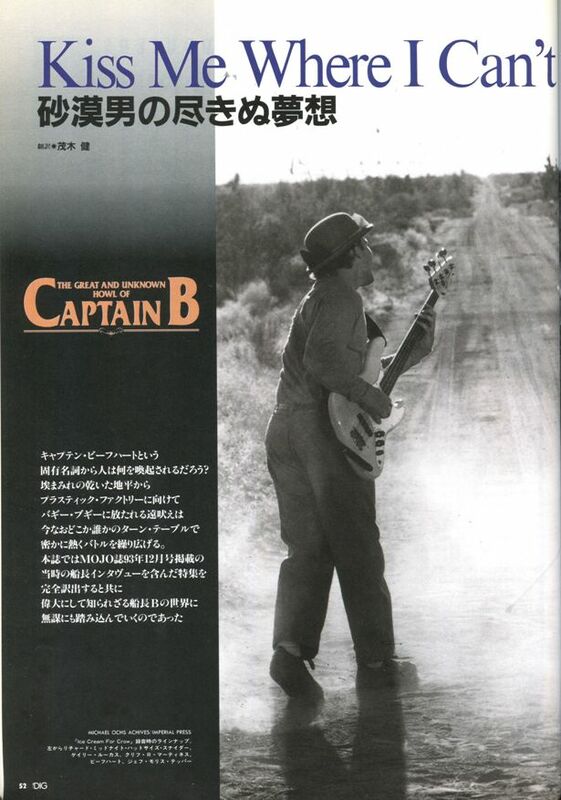 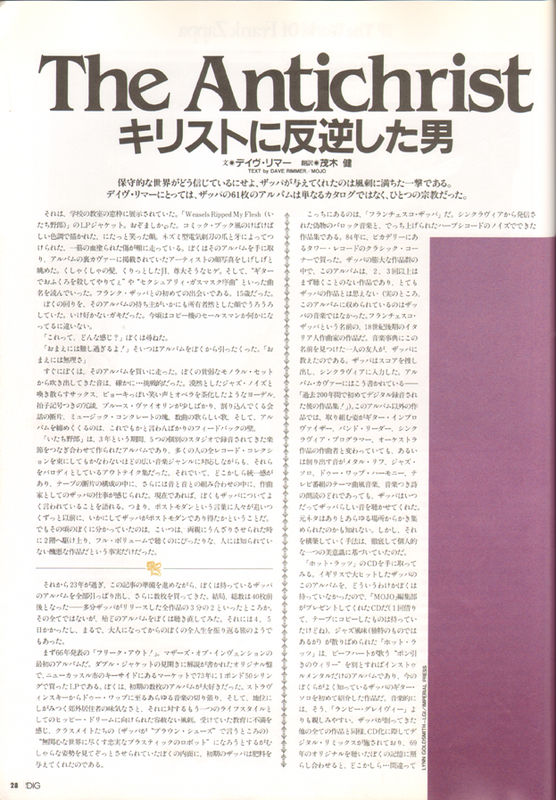 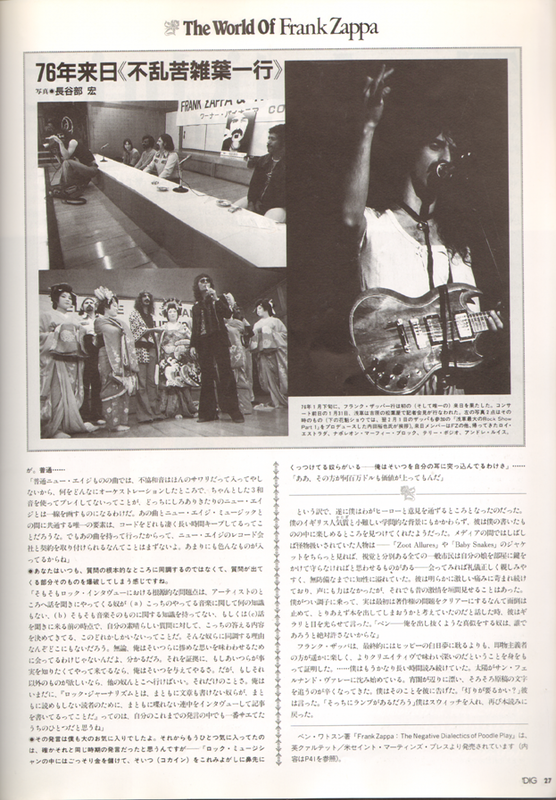 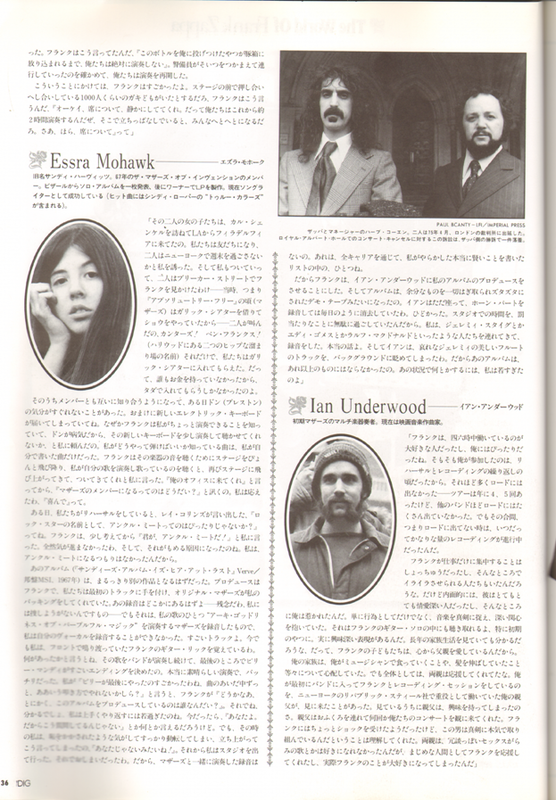 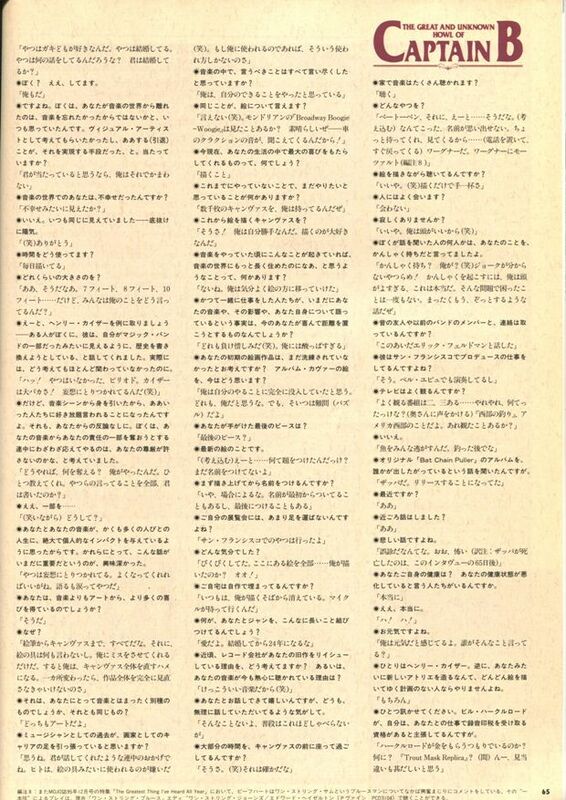 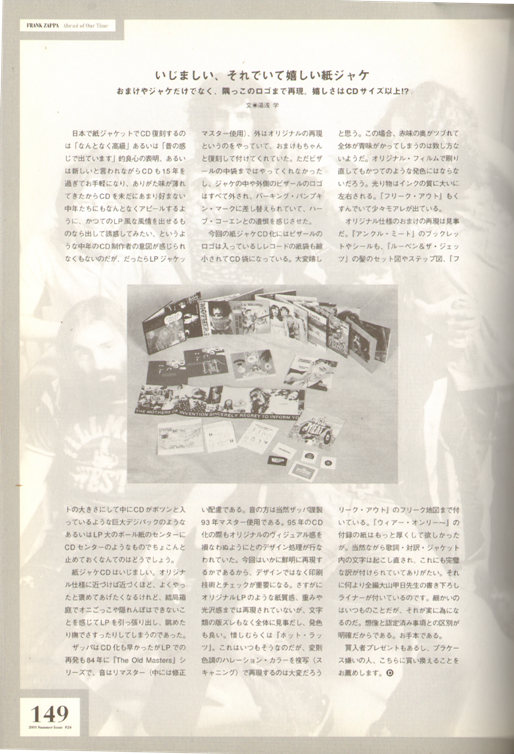 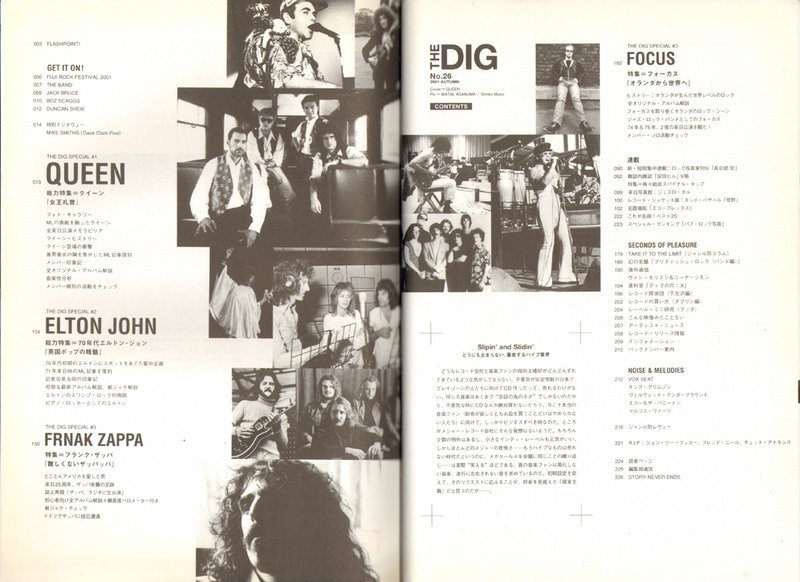 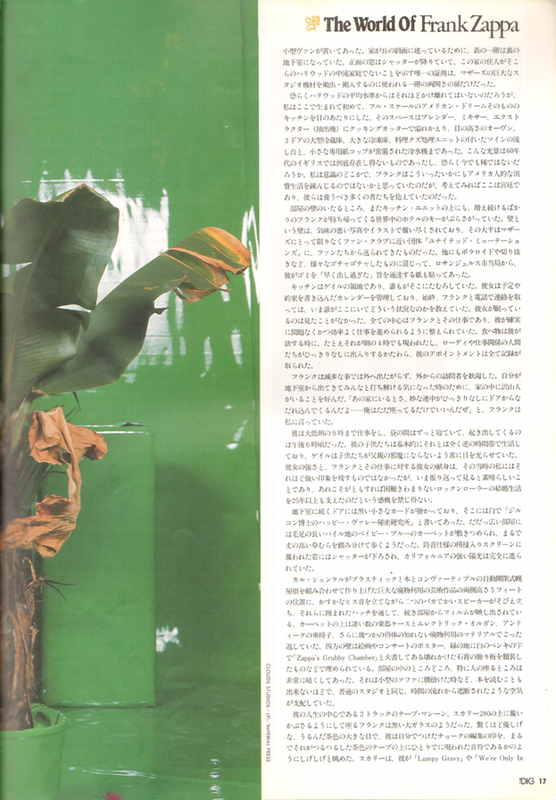 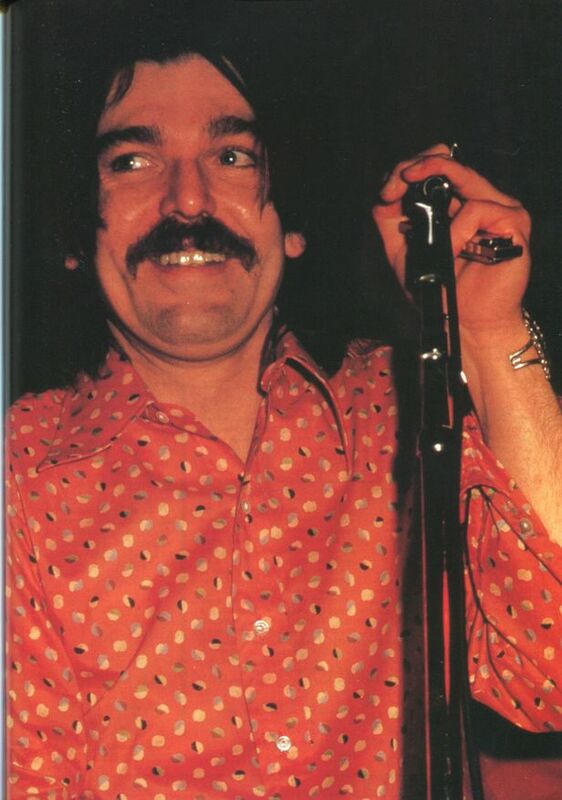 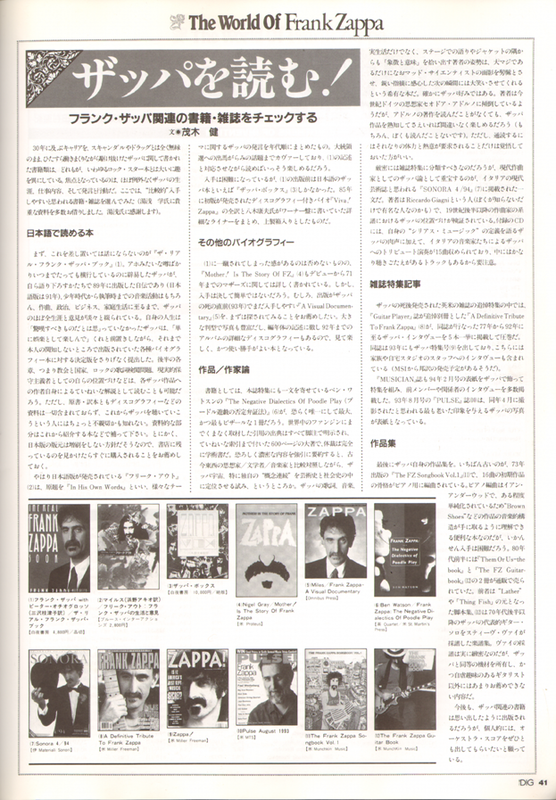 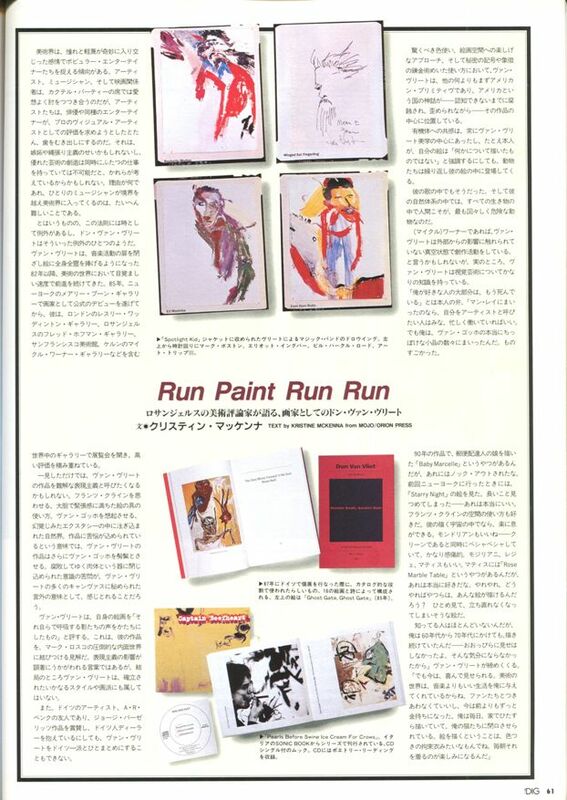 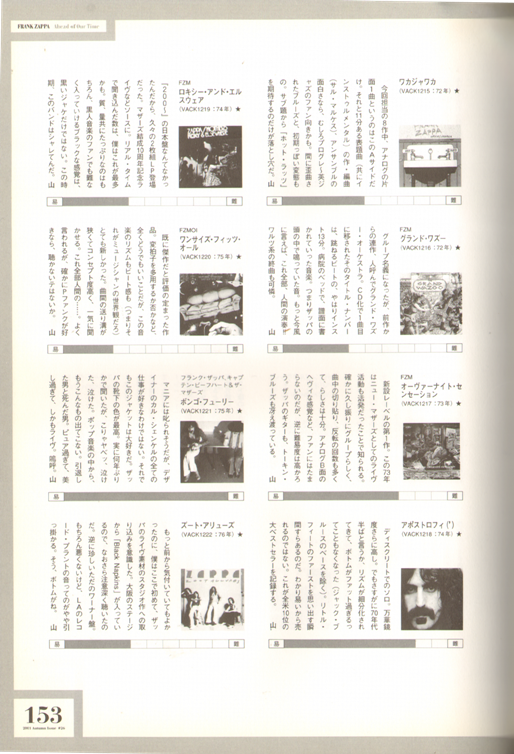 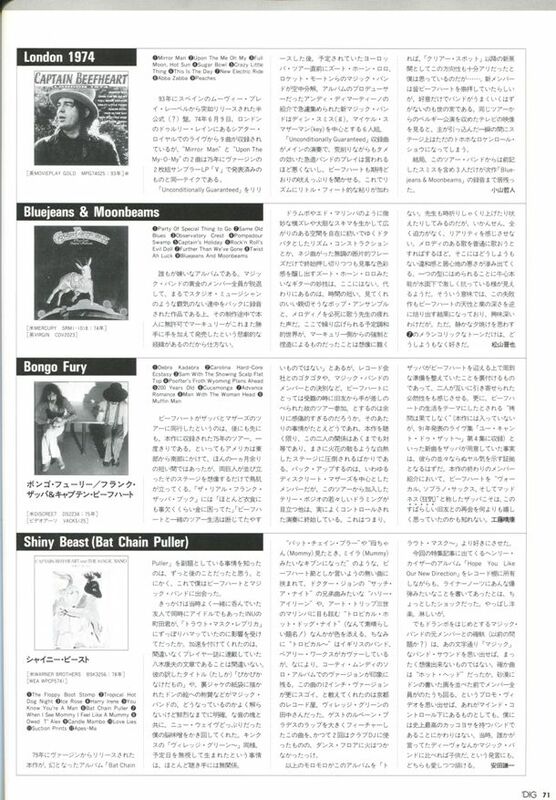 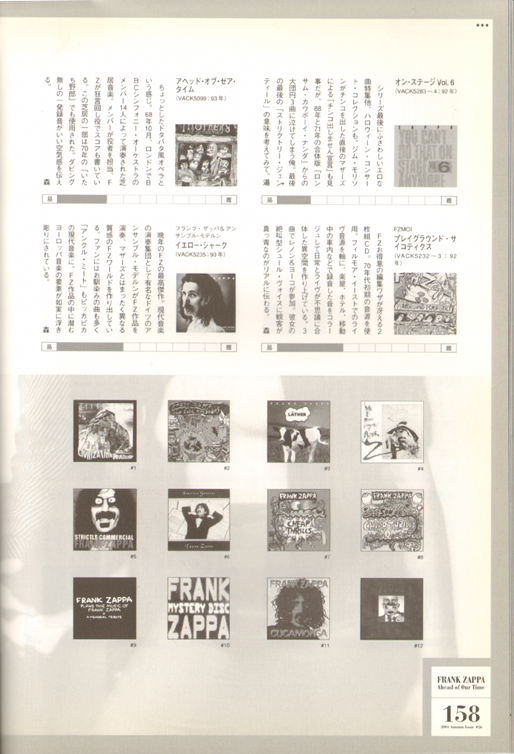 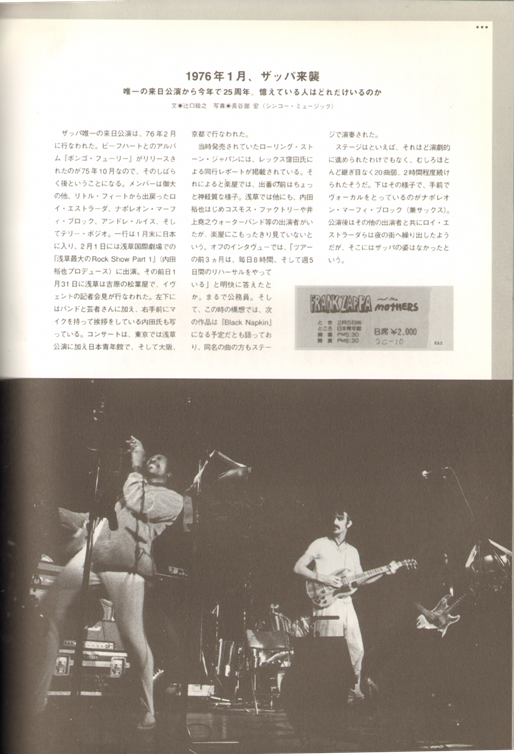 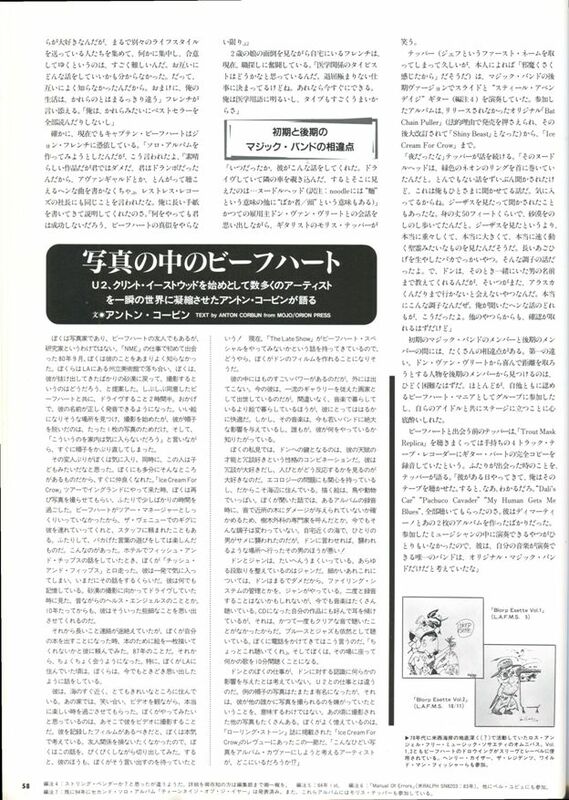 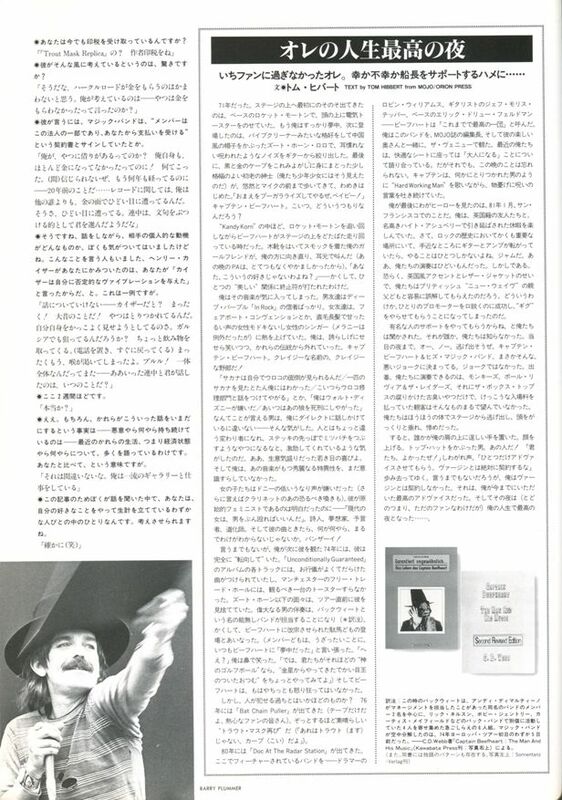 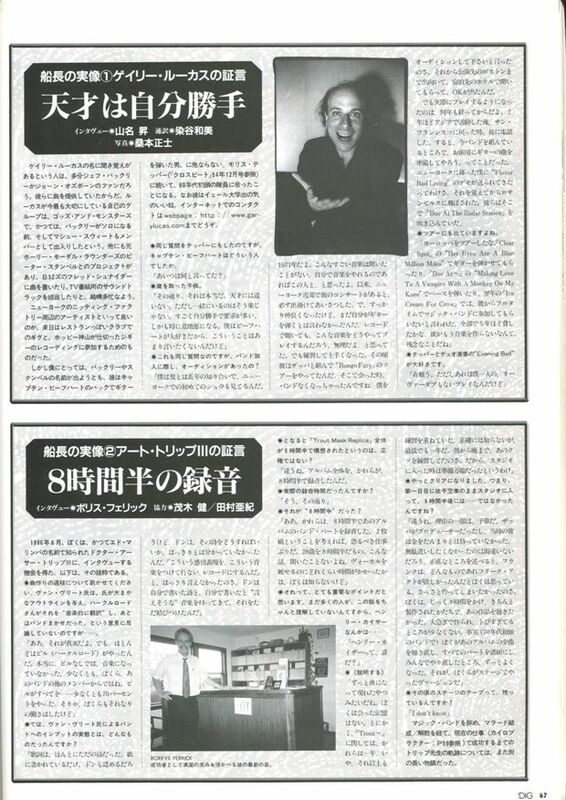 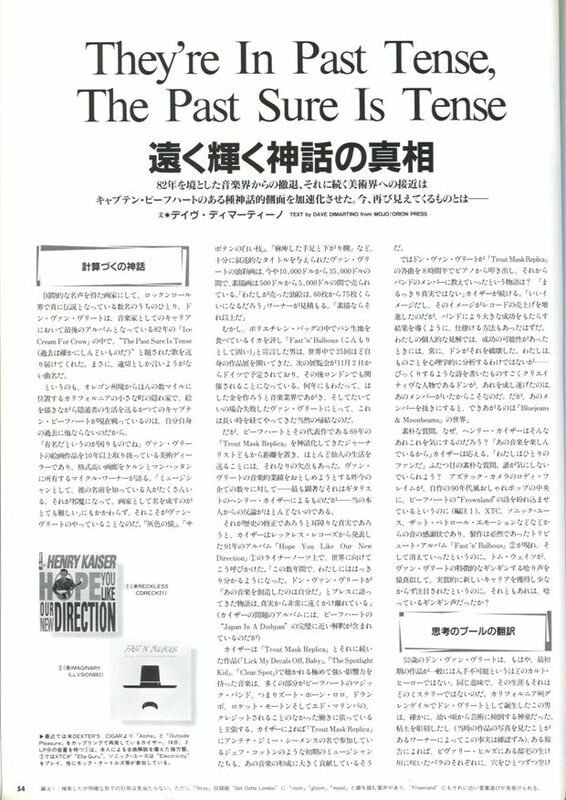 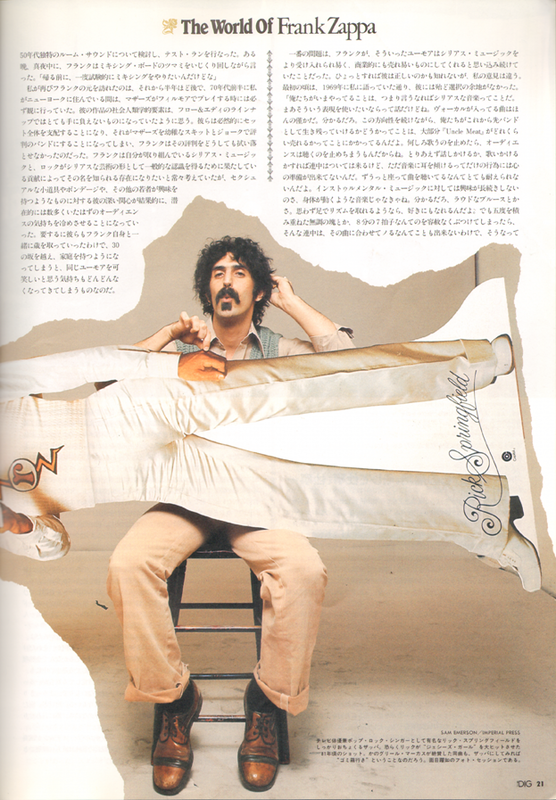 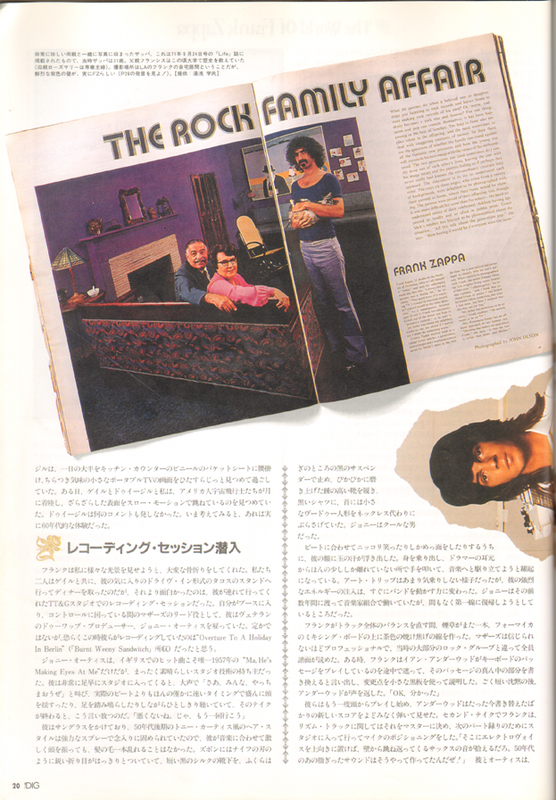 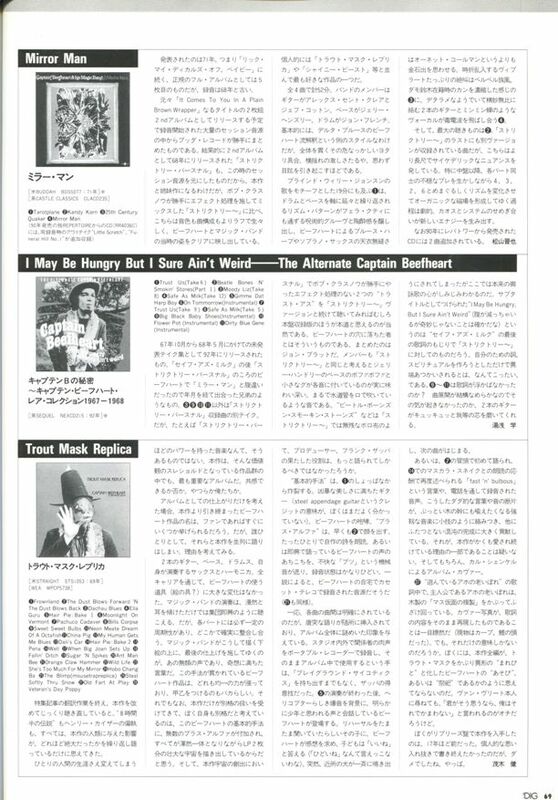 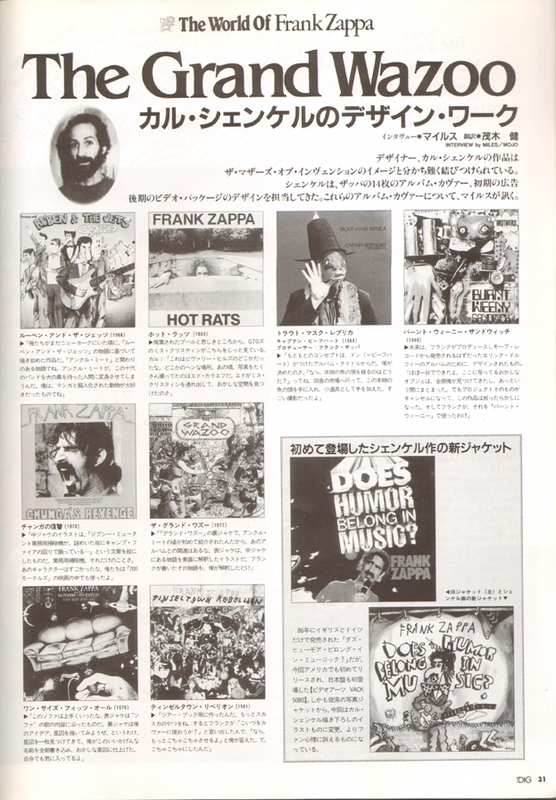 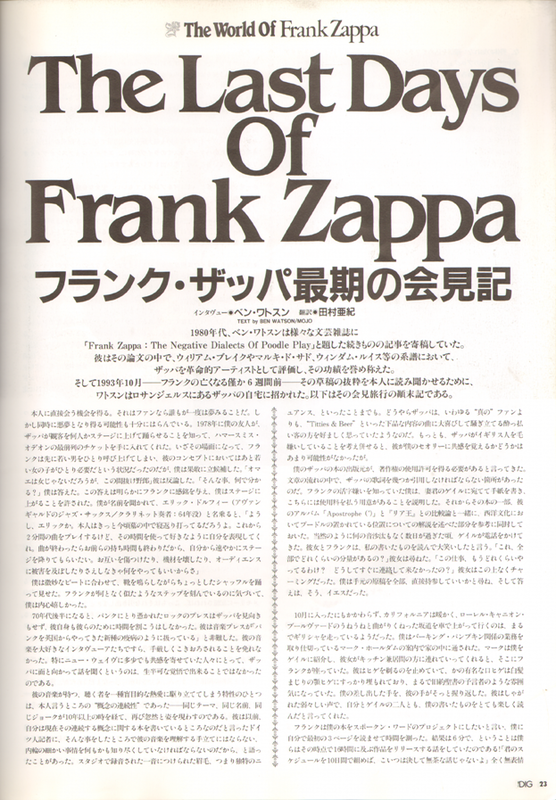 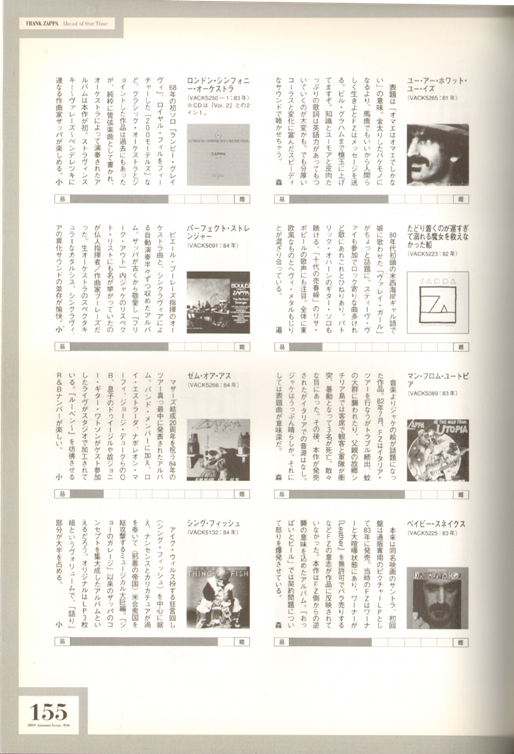 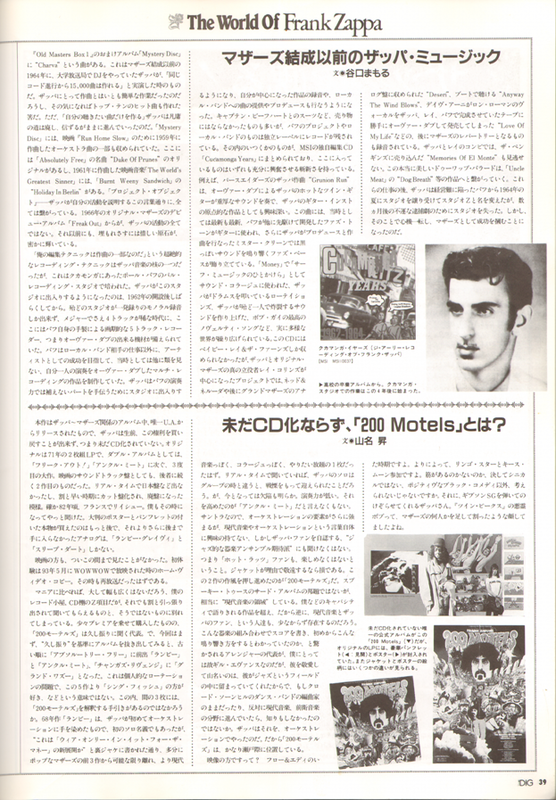 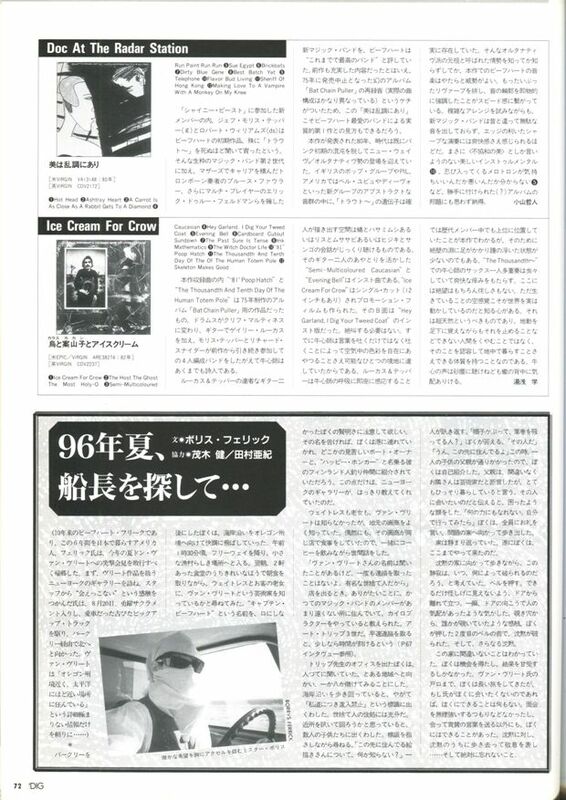 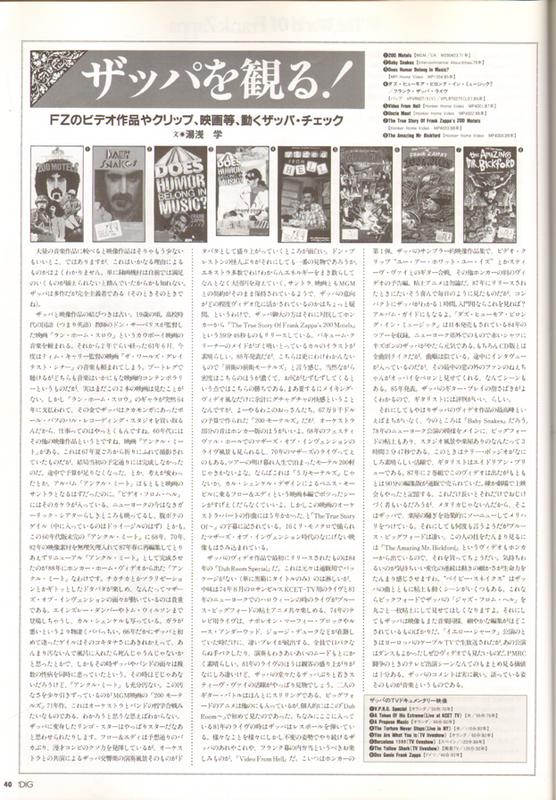 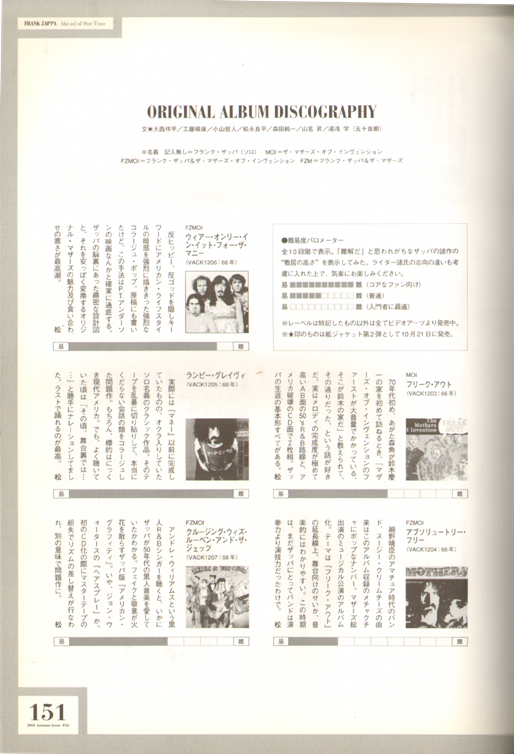 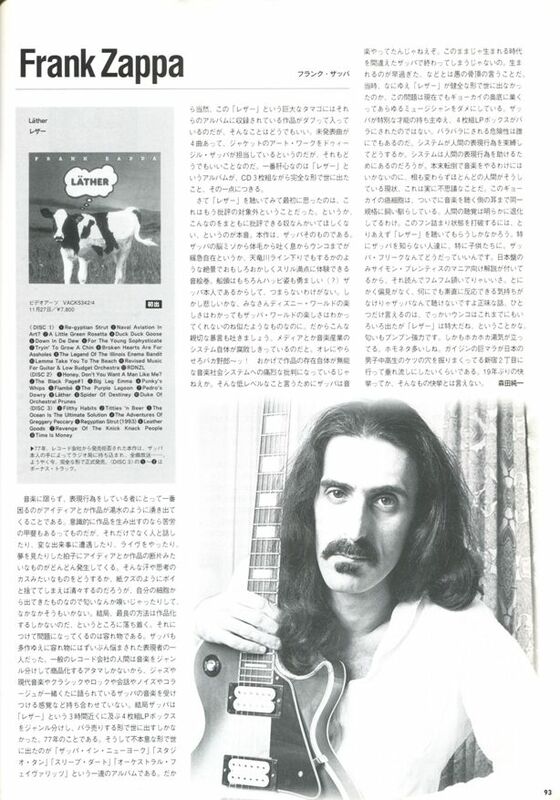 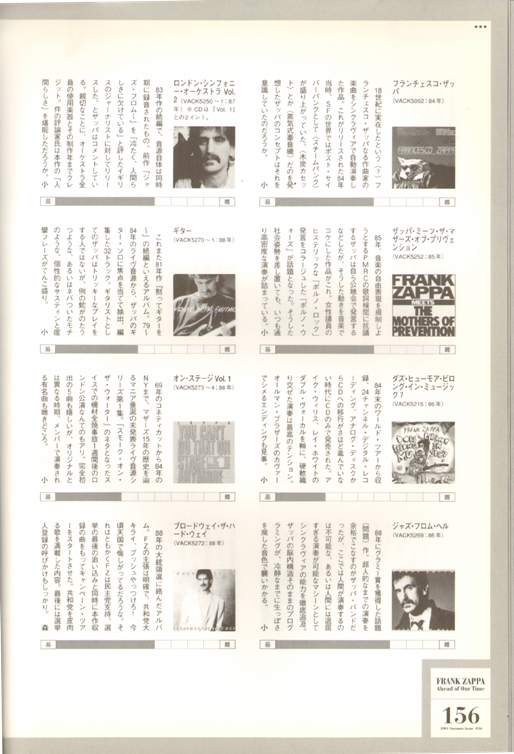 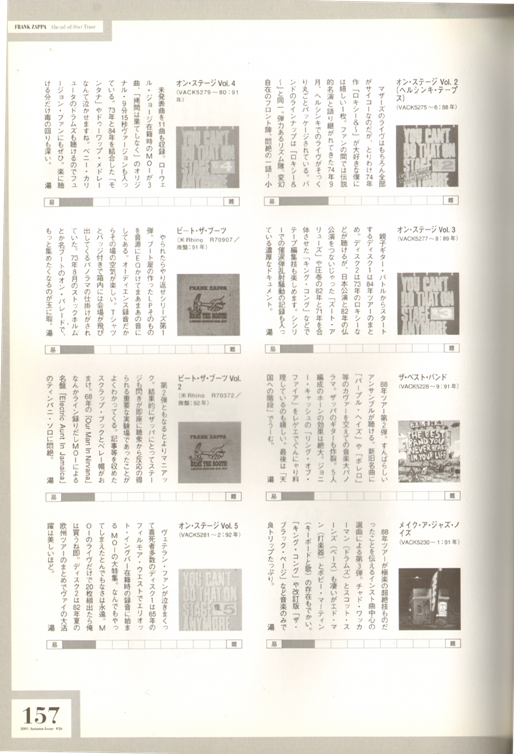 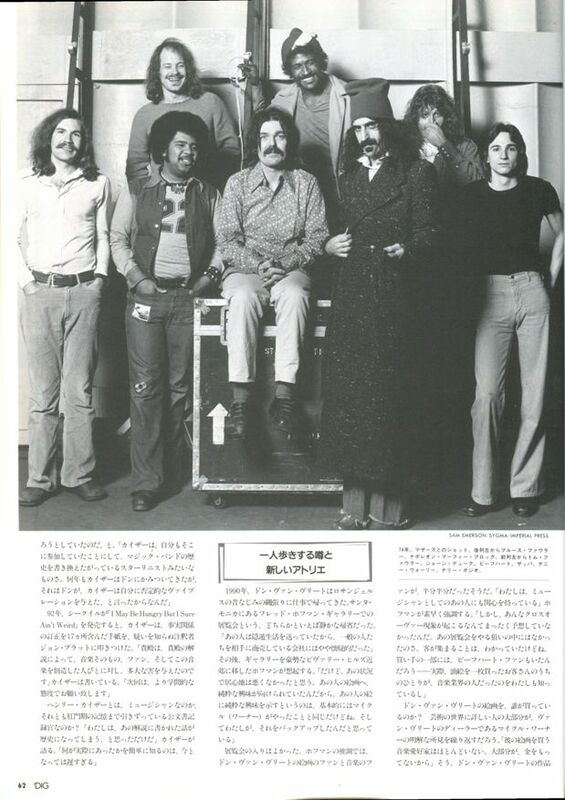 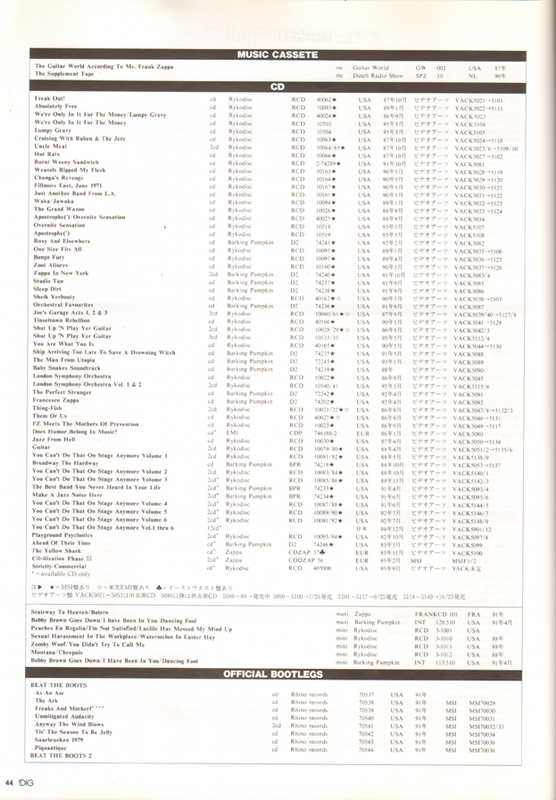 Disc Review: Frank Zappa "Lather"
TAN Mitsugu: "Although most of this Captain Beefheart special consists of translations from the 1993 December issue of Mojo, there're some original Japanese articles, including two short interviews with Gary Lucas & Art Tripp, discography & videography, and Borrvs Ferrick's report on his unsuccessful attempt to visit Don's house. 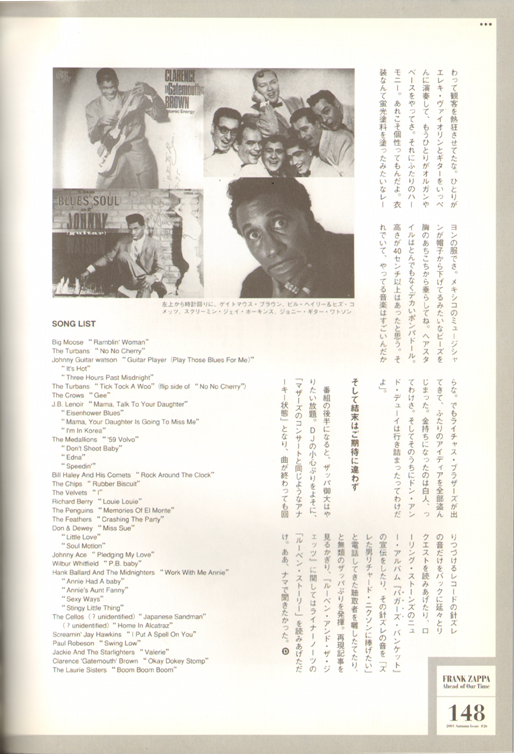 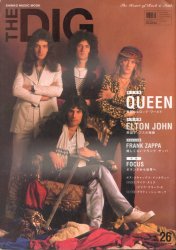 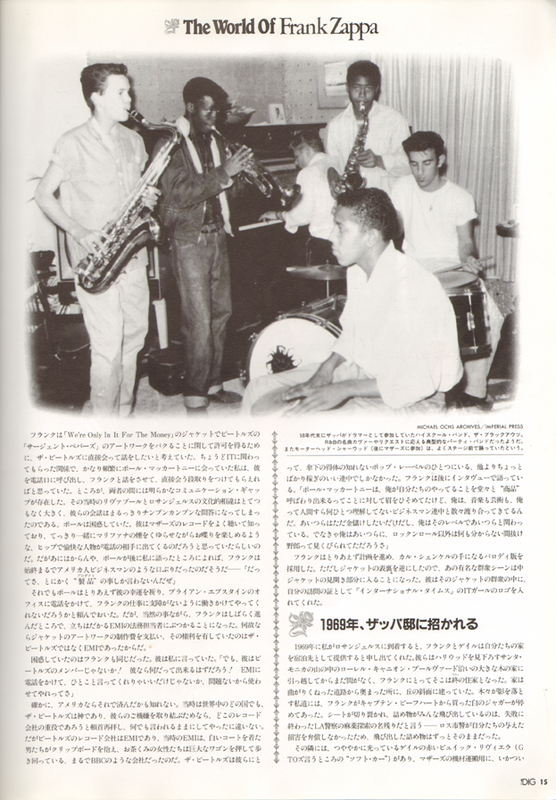 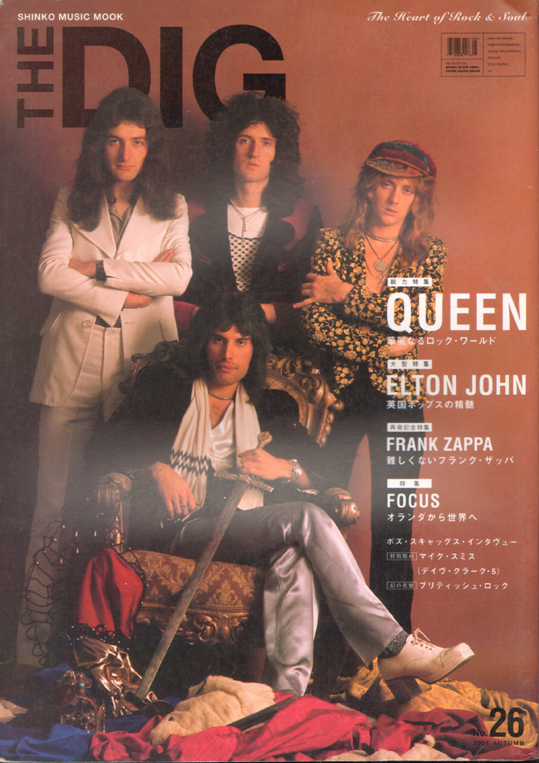 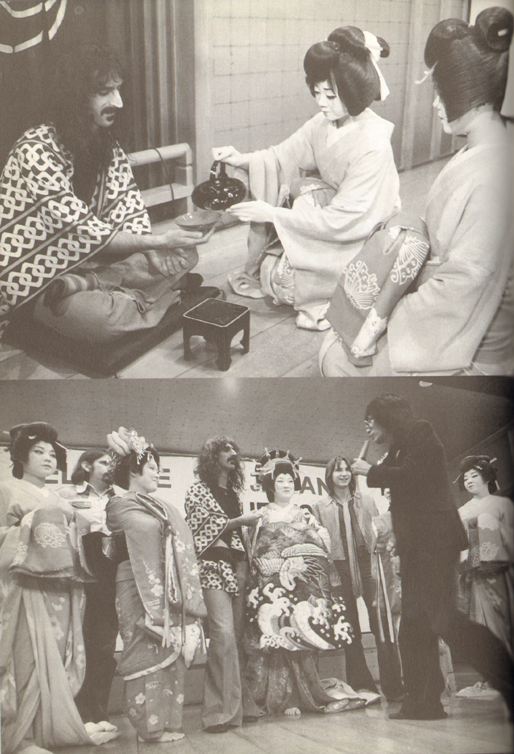 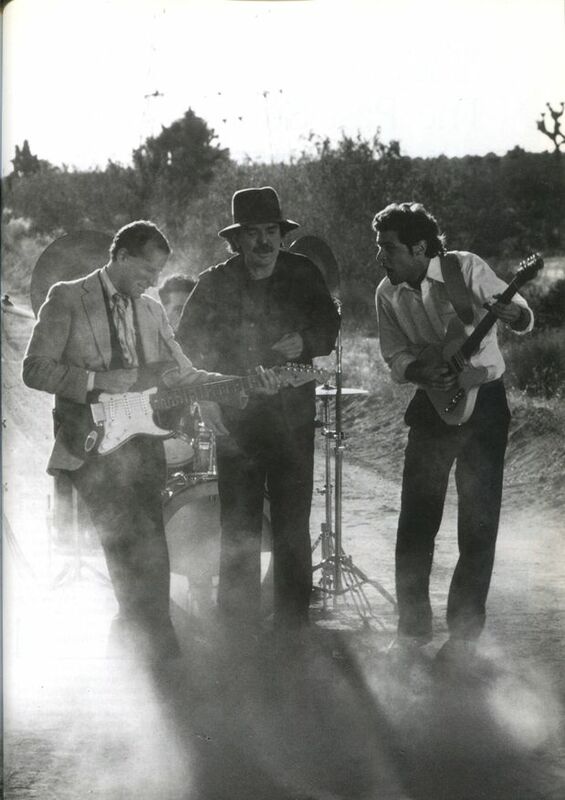 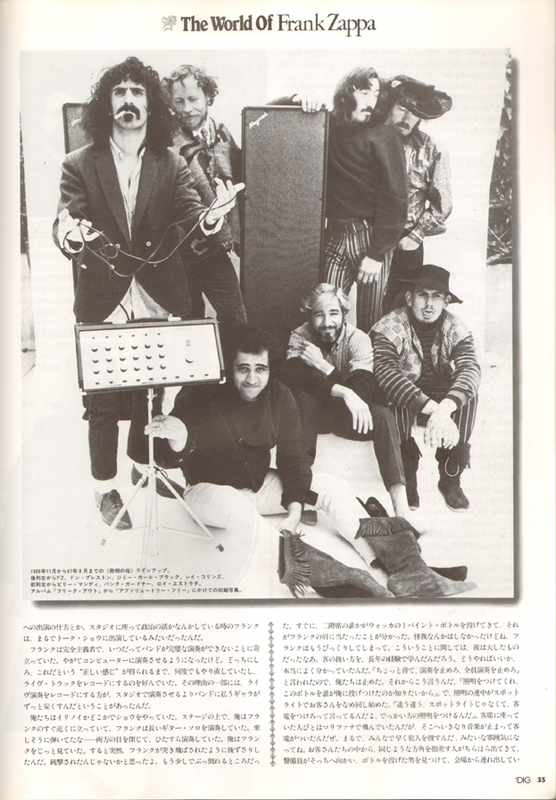 Also, you can see a rare promo shot of the Bongo Fury line-up of The Mothers (p 62)."